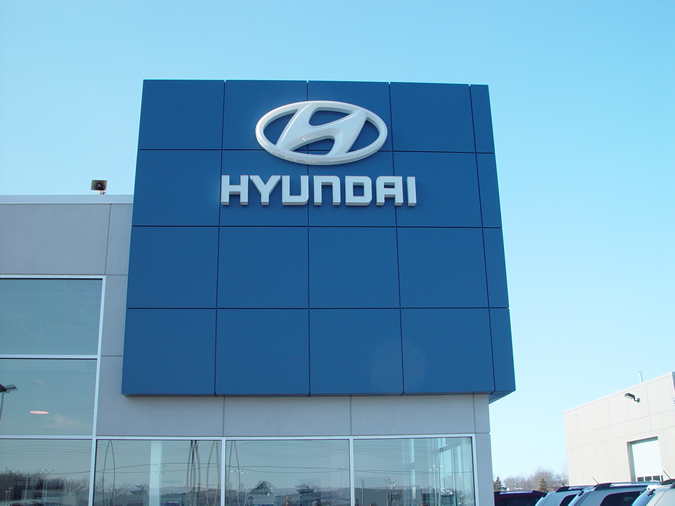 This Hyundai Dealership features large custom-color Aluminum Composite Material (ACM) panels at the brand icon tower. 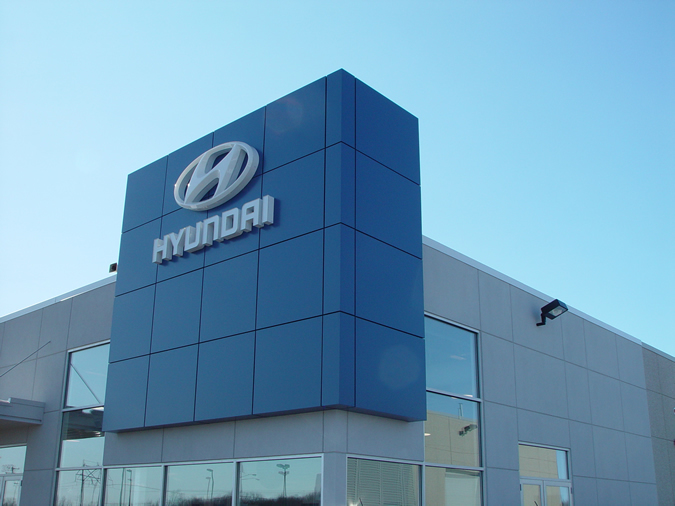 90-degree corners and returns at parapet, base and jambs create a professional seamless appearance to the icon tower. Panels were attached through Dens Glass directly to the metal studs.